TOKYO - Nikon Corporation is pleased to announce the release of the D850, a Nikon FX-format digital SLR camera that optimizes the combination of high resolution and high-speed performance to set the standard for next-generation full-frame cameras for professional photographers and serious hobbyists across landscape, commercial sports, fashion and wedding genres, and multimedia content. 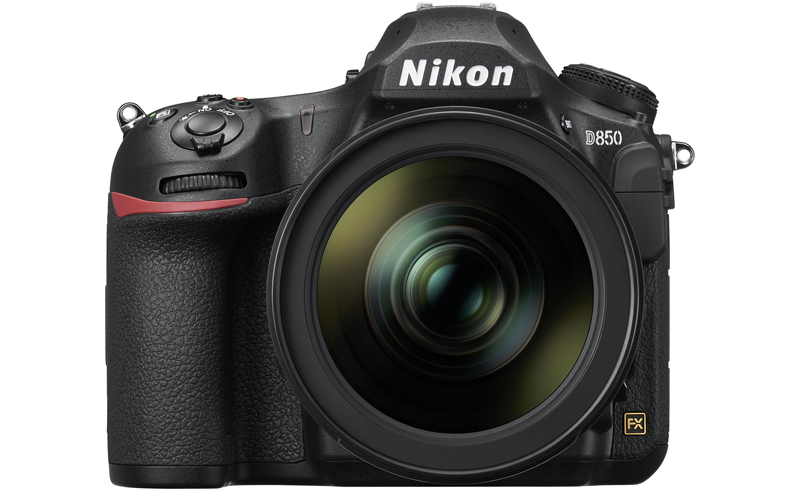 Development of the D850 was announced on July 25, 2017. *3Image quality is fixed at normal and image area is fixed at DX regardless of settings. *4Requires third-party software for creation. Note:In M (manual) or A (aperture-priority auto) exposure mode. In P (programmed-auto) or S (shutter-priority auto) exposure mode, the sound of aperture operation can be heard.